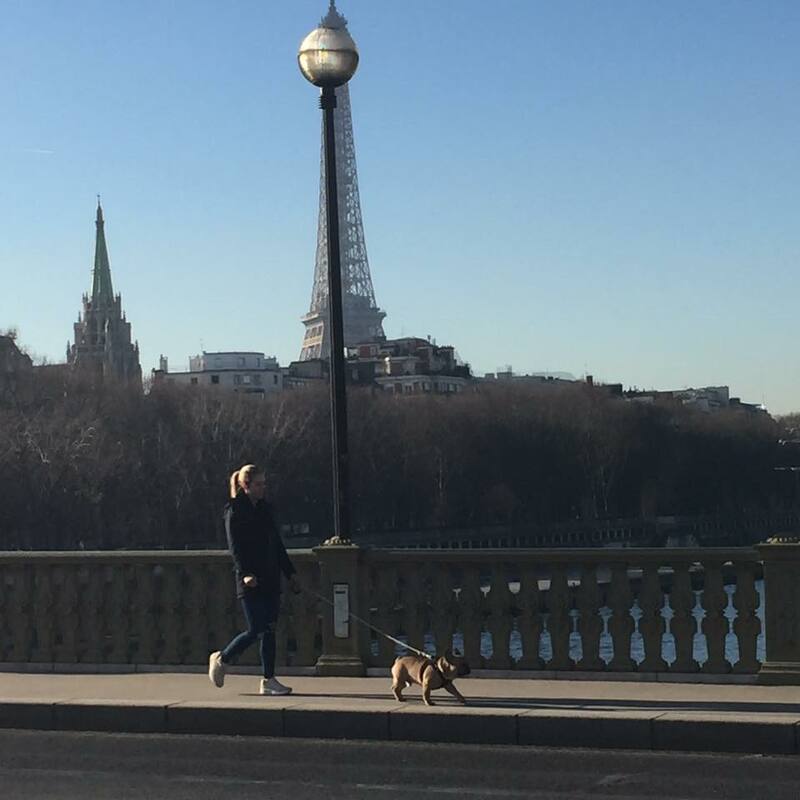 In December, Rami and I went to Paris and London and had THE BEST TIME. We were there for 10 days and I loved every minute. I had never been to either place – Rami had, in college – so we acted like total tourists and really had such a wonderful trip. 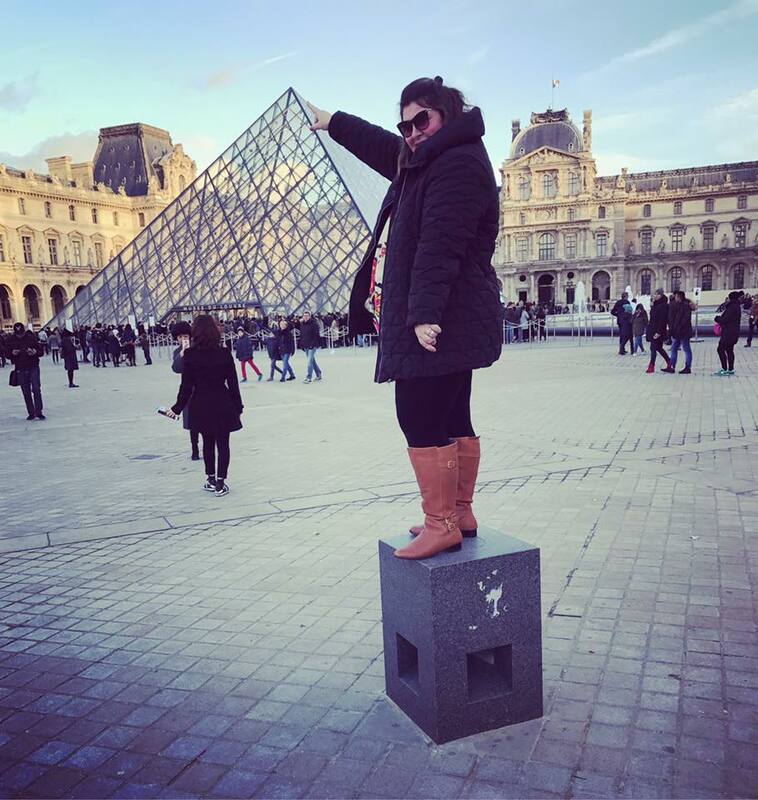 I’m not going to post every single thing we did – just the highlights – but if you are planning on going to Paris and/or London and would like a copy of my itinerary, please just email me and I’d be glad to share it! 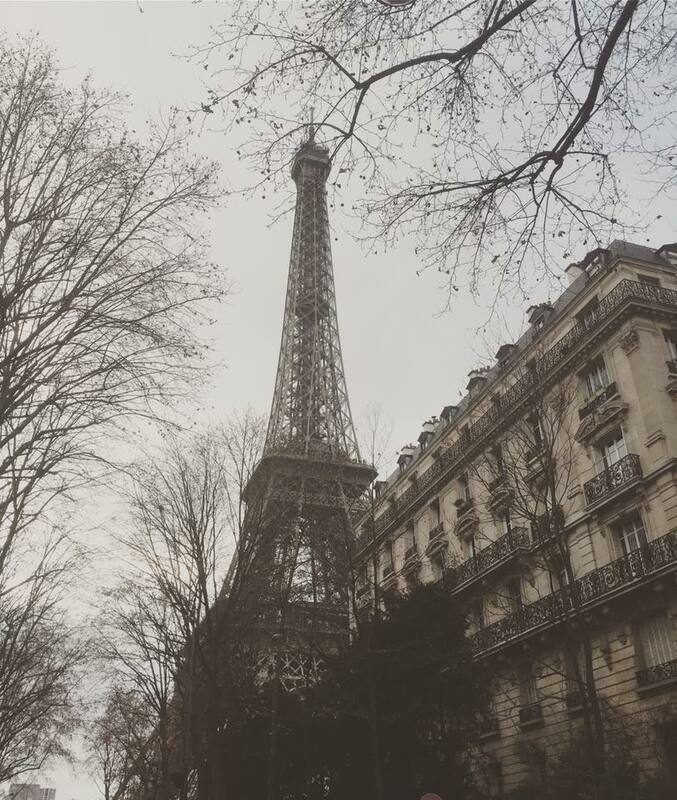 So first – Paris! As I mentioned a few days ago, we flew to Heathrow direct from LAX and then bought a one-way ticket to Paris from London. 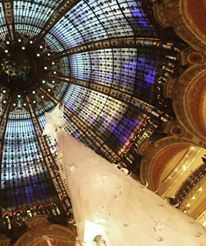 We arrived late on Christmas Eve and checked into our hotel, the Westin Vendome Paris. It was a beautiful hotel in a fantastic location, walkable to so many places and sites – our room wasn’t huge, but everyone was so kind and friendly and the concierge service was great. I highly recommend. 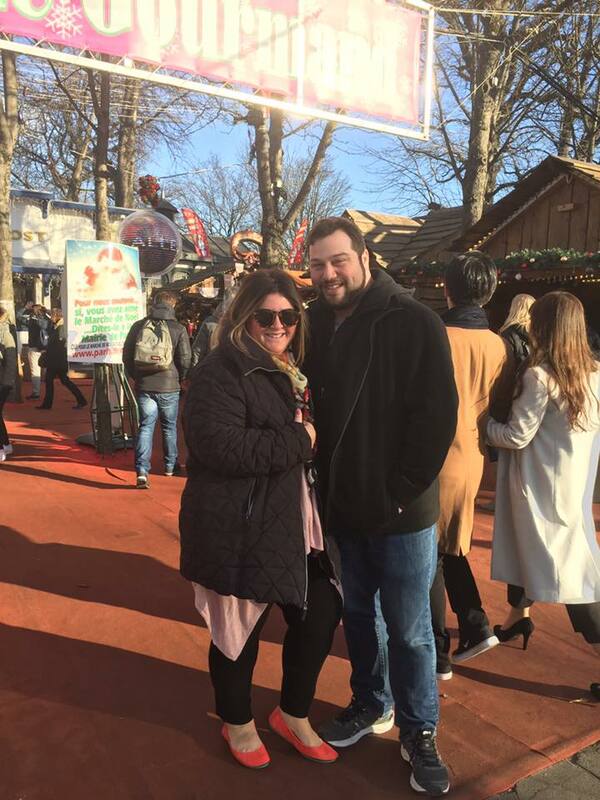 Because we were in Europe over the holidays, everyone told us not to miss visiting a Christmas Market! There was one on the Champs-Elysees a 5-minute walk from our hotel and I absolutely loved it. (There was a terrorist attack in a Christmas market in Berlin the week before our trip and I was a little nervous, but our hotel assured us it was very safe, and indeed we did see plenty of armed policemen and guards and felt very safe once we were there.) We bought gifts for friends and tasted all the delicious food and loved seeing all the decorations. But our travel agent Sybil (if you need a good one SHE’S THE BEST) recommended the Fondation Louis Vuitton and it. was. incredible. It has nothing to do with fashion so don’t get too excited – rather, it’s a STUNNING building about a half hour outside of the city filled with the most incredible modern art. The museum itself, designed by Frank Gehry, has the most incredible architecture – I couldn’t stop gaping at it – but inside, the art… I was swooning. I loveeee modern art and this museum had the most incredible collection from the Shchukin family – Matisse, Picasso, Monet, Degas, Van Gogh… That particular collection is no longer there anymore, but the whole museum is a must-see!!! Whenever we travel to a new place, Rami and I like to take a food tour. 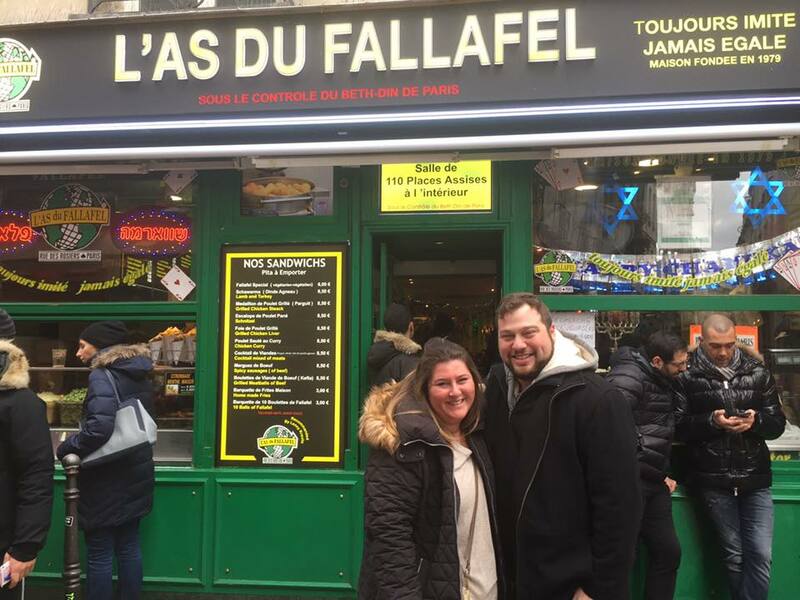 I find it is a really fun way to see a new city and get to taste the local specialties while getting to know a guide who shares a common love of food! 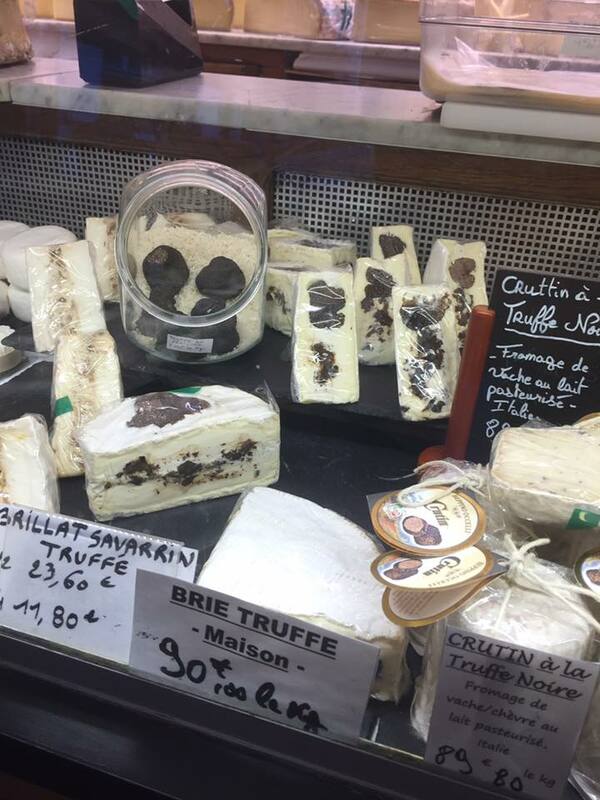 On this trip, we took the Paris by Mouth Taste of Le Marais Food Tour and absolutely loved every minute. 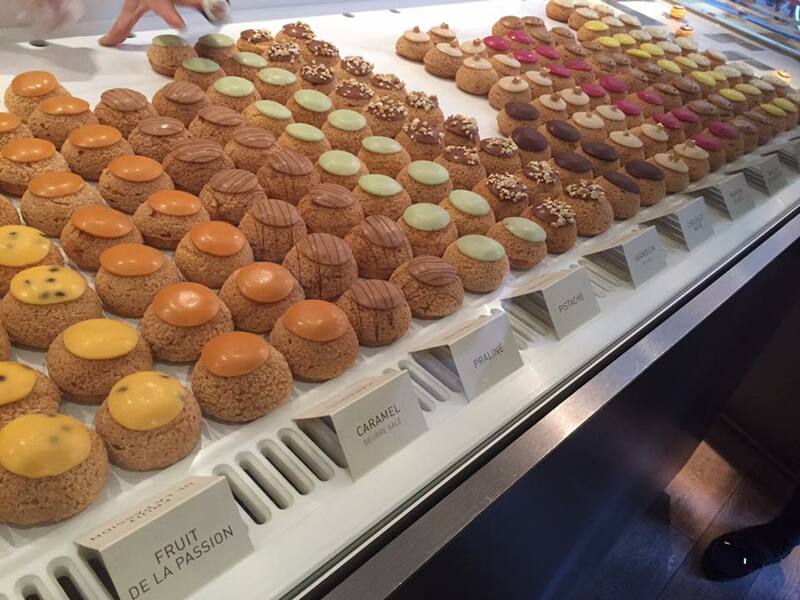 We walked all around the Marais – a trendy (and Jewish!) 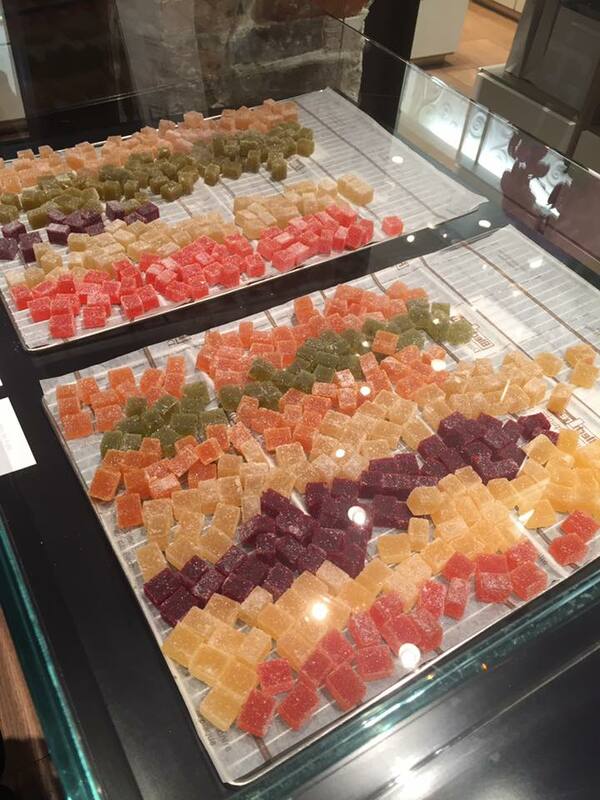 neighborhood – and tried the city’s recent award-winning baguette, fresh cheeses and pate and charcuterie, gourmet chocolate and pate de fruit, cream puffs, wine, and more. 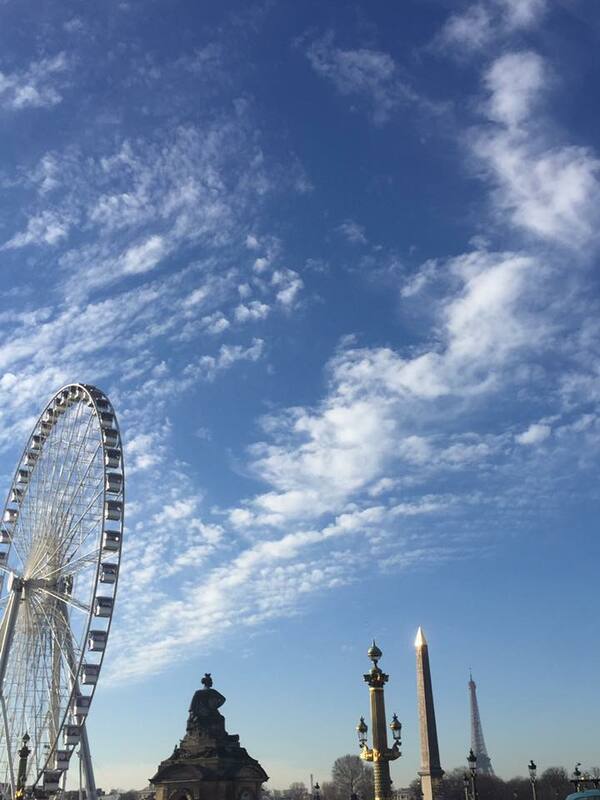 Of course – it goes without saying that we had some spectacular meals in Paris. I made it a point to make some reservations for us at places with Michelin stars. After years and years of dreaming about it, we got a lunch reservation at L’Atelier de Joel Robuchon and I was SO EXCITED. Our lunch was like 15 courses, took three and a half hours and I am still dreaming about those mashed potatoes. It was a once-in-a-lifetime experience and I am so glad we did it. We also ate at some other great restaurants – I particularly liked Camille (a true French brasserie), L’Aus Du Falafal (every single person recommended we go here so we did, it was very very good but I personally feel LA has equally excellent falafel – Rami disagrees and thought this was better), another Michelin restaurant, Ze Kitchen Gallerie (French/Asian fusion, very very good), and lunch at L’Ami Jean, which is a restaurant that was featured on my VERY FAVORITE NEW SHOW, “I’ll Have What Phil’s Having,” which I lovingly refer to as “What Did Phil Eat Today?,” hosted by the one and only adorable Phil Rosenthal. L’Ami Jean was VERY French and very AUTHENTIC and when we left my winter coat smelled like foie gras for the rest of the afternoon. Other places we visited that we loved: I did some shopping at the Galerie Lafayette department store and bought this sick Furla bag. While I was there, Rami went to the Cinamateque Francais Museum and nerded out about French movie stuff. We walked around the Notre Dame late one night when it was kind of deserted and it was gorgeous. 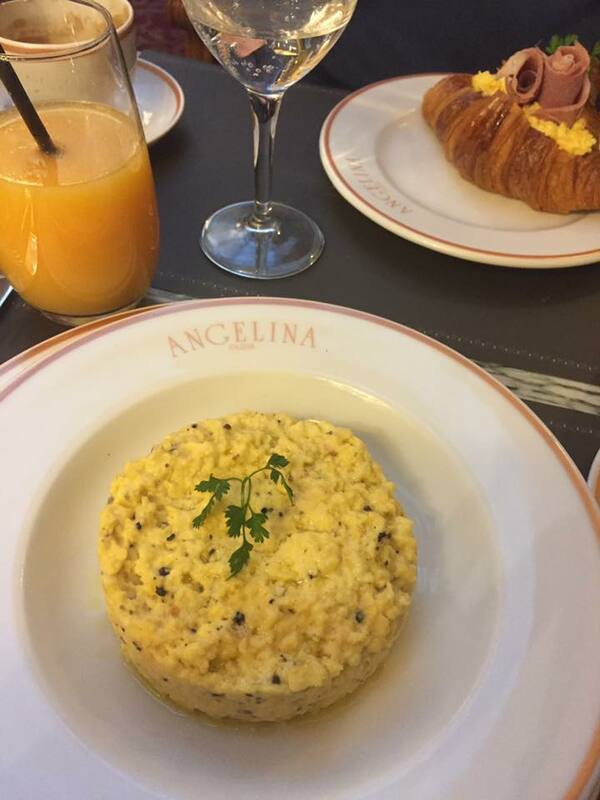 We had the BEST breakfast at Angelica Restaurant one morning, featuring super-thick hot chocolate and truffled scrambled eggs and $17 dollar orange juice (oops, don’t do that). 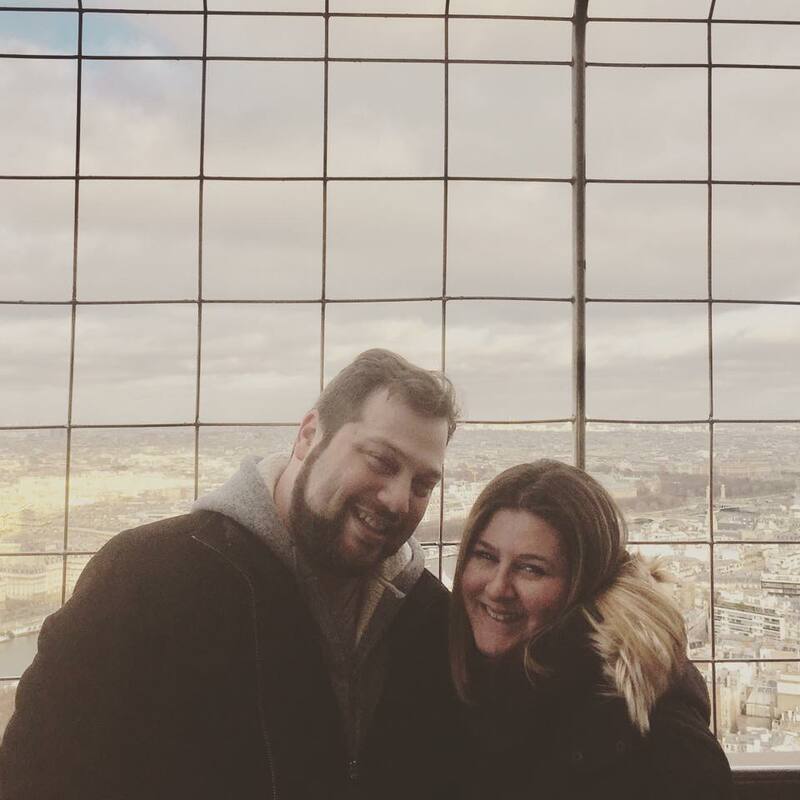 We were in Paris for a total of five nights and had the most incredible time and could have stayed another week. I CAN’T WAIT TO COME BACK. But on the sixth day, we woke up and took the Eurostar high-speed train to London, and the second part of our adventure began! Bye bye #bonjourraffs, hello #cheerioraffs! PS. The whole time we were there, I WAITED AND WAITED to see a REAL French bulldog. On our last day, this little guy pranced by us across the street and I almost fainted on the cobblestones. WORTH THE WAIT!